For decades, Luke Skywalker has been a fixture in the Star Wars movies. Now, he's back in "Star Wars Episode VIII: The Last Jedi", prepared to assist Rey as she fights back against the evil First Order and Supreme Leader Snoke. Dress up as the great Jedi knight with this wig and beard set that showcases his maturing status. 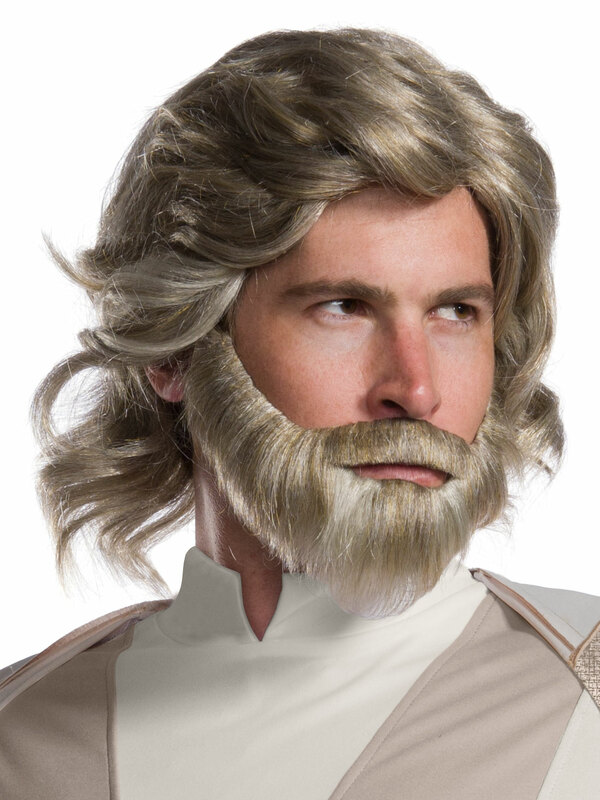 After years of hiding, Luke's hermit-style appearance is apparent with his lengthy hair and scraggly beard. Skywalker still has that instant likability, though, and you're sure to get compliments in your Star Wars costume and accessories.